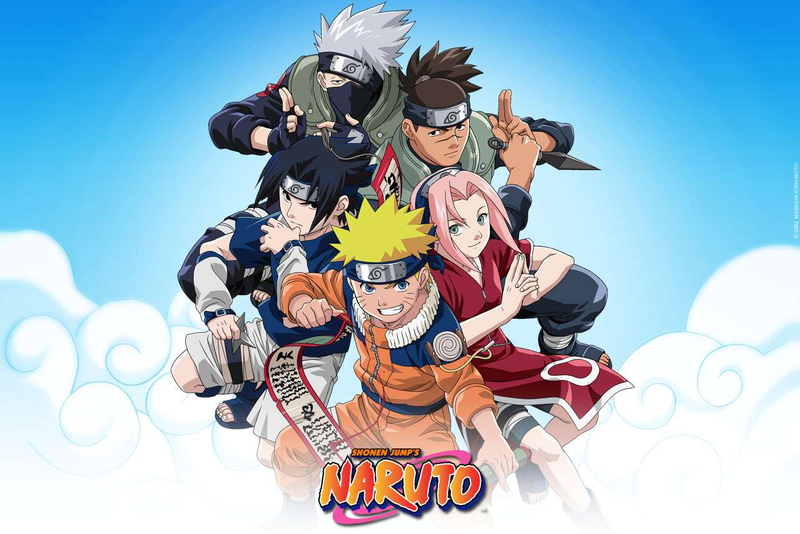 Well here is the next section of my Filler Free Viewing guide and I’ve decided to tackle one of the MVP’s of the genre the long running series Naruto. Due to the absolutely insane amount of total episodes in both series this Filler Free Guide will be split into three distinct parts. The first part (this one) will cover the original series “Naruto” with Part II and III covering the beginning and ending of “Shippuden”. For those of you who haven’t seen my previews entries in the series check out my Fairy Tail and Bleach write ups. Introduction: So really what is Naruto? Well Naruto is a long running Shonen Jump anime that at various times has represented the “Big Three” being one of the three biggest series the magazine offers. While the third member has changed over the years Naruto has stayed steady at number two behind only the national phenomenon of One Piece. Anyways Naruto is the story of its titular hero Uzumaki Naruto a ninja who dream of becoming Hokage. Over the course of the series he make new allies, friends, and enemies... so you know standard shonen fare. However what sets Naruto apart from many other series is that it has heart over time you really start to care about these characters and a series of over 600 episodes that is without a doubt a must. So without further adeau lets go to the wild world of Naruto! Season 1 (Episode 1-35): The first batch of episodes covers the entirety of the prologue arc and half of the first main arc of the series. 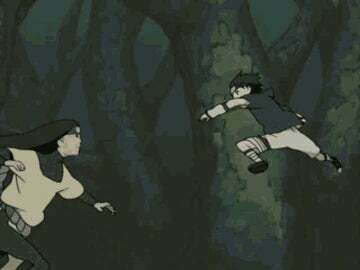 The prologue arc known as “The Land of Waves” follows the newly formed Team Seven which is comprised of Uzumaki Naruto a kinda dumb but hard working Ninja who just happens to have the spirit of the monstrous Kyubi inside of him, Uchiha Sasuke one of two surviving members of an elite clan who personally is a prodigy but one that holds a serious chip on his shoulder, with Harono Sakura who by this point is actually kinda worthless. Kishimoto clearly did not know what to do with her other then put her as the focal point in a poorly formed love triangle (she loves Sasuke, Naruto loves her, and Sasuke doesn’t love). 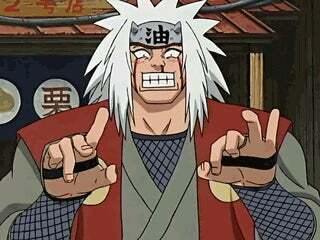 Finally their ninja Sensei is the elite Jounin Kakashi who knows far more then he ever lets on. Effectively the Land of Waves arc serves as a good if not great introduction to the entire series as the basic plot elements are introduced and principle actors are known. Basically these 19 episodes serves as early Naruto in a nutshell. Following this we get to the first main arc of the series The Chunin Exam arc which serves as an introduction to the world of Naruto and vastly expands the cast which range from interesting an memorable (Shikimaru, Neji, ect.) to pointless and boring (Chouji and Ten Ten...). All around a solid batch of episodes that serves as a useful introduction to the series and its cast. Season 2 (Episodes 36-83): Picking up right where it left off we return to the Chūnin Exams arc. After a few of these episodes the focus on Naruto slightly shifts away from the wandering adventure style that had dominated the majority of the series up to this point to an old staple of the shonen genre a martial arts tournament to see who advances to the next round. Effectively if you’ve seen Yu Yu Hakusho or Dragon Ball you can predict EXACTLY who will win just based on the amount of screen time and character development they experienced. The interesting protagonists yup they win, the totally over the top villains they’re in too, and finally a few random folks (go Shikamaru!) to round out the roster. That being said it’s also in this arc that Kishimoto manages to figure out how to write for Sakura when she finally steps out of her two male companions shadows and becomes an interesting character in her own right as symbolized by her cutting her hair... okay ya small progress. Following the ending of the Chūnin Exams arc we move onto the “Crush Konoha” Arc which is exactly how it sounds somebody trying to destroy the Village. This arc is actually really fun as previously up to this the majority of battles were relatively small scale affairs, however here they take on a whole new level where the battles get bigger and crazier with monsters the size of kaiju taking each other on and fighters who could single handily destroy legions of men face off. Its in these episodes where Naruto is going becomes apparent and by this point you’re all in for the crazy or you’re not. Filler: There is no filler at all. This is totally canon material if padded out a little bit. 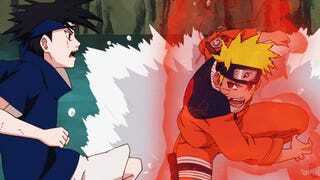 As Naruto right from the get go adapts about two chapters of the manga per episode. Season 3 (Episodes 84-131): Although the first two episodes aired in the previous section this season starts with a mini-arc known as the “Akatsuki Attacks Arc” where Sasuke’s traitor brother Itachi and his monstrous partner Kisame comes trying to find the Kyubi (Naruto). In many ways this mini-arc sets up the principle struggle of Part II however for the moment it shows little more then there are seriously strong people out there. It also serves to show how high a cliff Sasuke has to climb if he ever wants his vengeance as it’s revealed Itachi has powers that rival the five Kage and the principal antagonist up until this point Orochimaru. Following this diversion Naruto and his teacher Jariya (a pervy but incredibly strong member of a legendary Ninja group the Sannin) set out to find his old friend the beautiful but foul tempered Tsunade to fix the damage done in the Akatsuki’s attack. The “Search for Tsunade” arc has the elements of both a journey arc and a training arc. 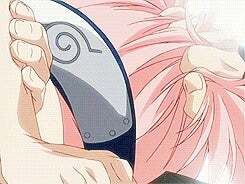 As the majority of the time spent with Naruto trying to master his second signature attack the Rasengan. The arc comes to ahead where the three members of the legendary Sannin (Orochimaru is the third) have a battle royale feature more crazy attacks and more giant summons. The final batch of episodes is comprised of the “Search for Sasuke Arc” where Sasuke searching for power decides to go AWOL and join Orochmaru and it’s tasked to Naruto and his friends (not Sakura though...) to find and bring him back before he can meet up with the ultimate enemy of the village. Filler: There are a few filler episodes in here. With episode 97 serving as the requite hot spring episode while episode 101-106 serves as one of the stupidest filler arc is anime. It’s honestly a ninja race that the three main characters have to serve in. By this point though you’ve got to be wondering though we’re over 131 episodes in and this is a Filler Free Viewing guide yet we’ve only seen 8 episodes of filler where does the rest come in? Filler: You see Naruto did a really weird thing it basically burned through 200 chapters of manga reached its conclusion in Episode 135 and then kinda just stopped adapting the anime. This season is literally all filler EXCEPT its first two episodes. Worse yet its not even good filler some of the worst filler in existence if you watch these episodes you are doing a disservice to your brain. Really after the series basically gets darker and more action focused as the series went on the fillers do a 180 flip so fast you’d get whiplash. The infamous “Curry of Life Arc” is a part of these episodes that is so bad even the creators of the anime disavowed it. Season Five (Episodes 186-220): “Hey Director wasn’t that Curry of Life Arc a TERRIBLE TERRIBLE Idea? I mean who came up with that!” “Honestly I think the writing staff was half way through a bottle of peach schnapps and Sake by the time they were finished with that one.” “Really? Actually that makes a ton of sense...” “I know... but when you got to fill a year of material some is going to be hit and miss” “Ya totally at least we’re done I really can’t wait to show off all the post time skip stuff the Manga has gotten so far ahead its going to be AMAZING!” “I know just they’re need to wait a little bit longer” “How long Director?” “A year.” “Crap... Director we’re going to be cancelled at this rate.” “I know. I know. Where’s the peach schnapps I need a drink”. Filler: If you thought a year of filler was a fun time well I got another 9 months of it for you. Literally every episode EXCEPT 220 if filler. Unlike the strange one off arcs from the previous season the majority of this filler was a semi-coherent arc that actually had decent fighting and a suitably threatening if totally forgettable villain. Seriously I watched this arc like four weeks ago and I can barely remember the villain. Conclusion: Well that is about it for Part 1 of this Naruto Filler free viewing guide. Also if you thought I was joking that the show was going to be cancelled well actually it kinda was. The damage of the nearly 20 months of filler was so profound that they changed the name of the anime to signal to fans it was over. In fact the only reason it continued was because during the time of the slipping ratings of the anime the Manga actually became on of the biggest things in JUMP. In short the manga’s popularity saved the anime. At the end of the day Naruto was about 40% filler almost all of it added to the back end. This is an experiment that has never been tried by anime previously and most likely will never be tried again. However for the purposes of this guide its actually quite helpful as you can watch almost the entire series and just ignore half of it. In fact do what I do and finish watching the series at the “Battle at the End” (that is literally its name...) which is the climactic battle of Naruto vs. Sasuke right at the tail end of Season 3 and begining of Season 4. Anyways hope you enjoyed Part I I’ll soon be tackling Shippuden (Part II/III) that should be fun no? Where to Watch: All episodes dubbed and subbed are Streaming on Netflix.